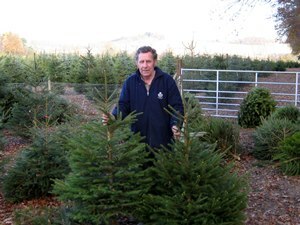 Festive Trees Hertfordshire is run by Robert Bennett, his son Daniel and daughter Sara. 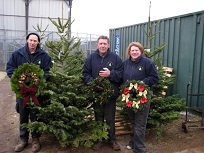 With over 30 years experience and members of the British Christmas Growers Association (BCTGA) the Bennett family have perfected their Christmas tree growing technique to produce healthy, long lasting trees and wreaths for all occasions. 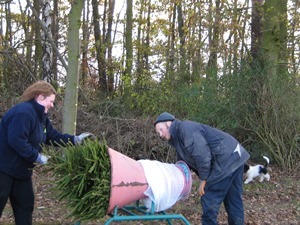 We are Festive Trees Hertfordshire, supplying Christmas trees, wreaths, decorations and tree stands for over a decade. Established in the year 2000 on a family run farm at Hooks Cross, Watton at Stone in Hertfordshire, Festive Trees started in a 6 acre field supplying Christmas Trees to the local area. Over the years the growing area has expanded to 12 acres to keep up with demand and ensure a sustainable supply of trees. 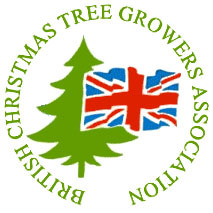 Festive Trees is a member of the British Christmas Growers Association (BCTGA) following strict codes of practice to cultivate quality, well shaped and sturdy trees. We select seeds from a sustainable source which do not present any threat to endangerd species. Our plantation has been subjected to a survey on environmental; ecological or archaeological impact. We take account of the habitats of birds and wildlife and no work will be carried out which disburbs nests or young birds. After use we urge our customers to recycle their Christmas trees. All our trees are sustainable and when a tree has been cut down a new one is planted. We pride ourselves on offering a friendly service and are happy to give help and advice if required.